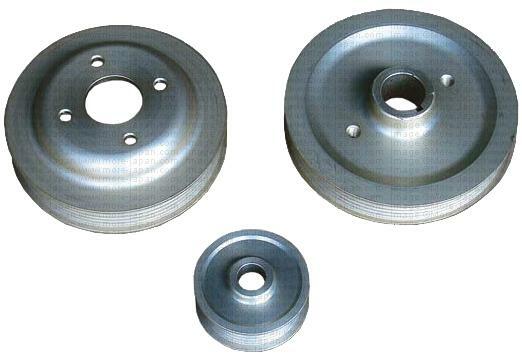 UEO Style 4A-GE Pulley Kit - Dezod Motorsports Inc - Home of the automotive performance enthusiast since 2002. Constructed of duralumin billet, these lightweight underdrive pulleys reduce parasitic horsepower loss from accessories on the engine. Available for the Toyota 4A-GE engine, this model is available for engine models with cooling.